In some ways November can be a bit of a miserable month. But I love November. It starts off well with the week or so of hearing fireworks every evening, this year I managed to go to two bonfires with friends which was great fun. There’s that first icy bite in the air, the odd bits of frost on some mornings, but I love coming in from the cold and rain when the heating is on. 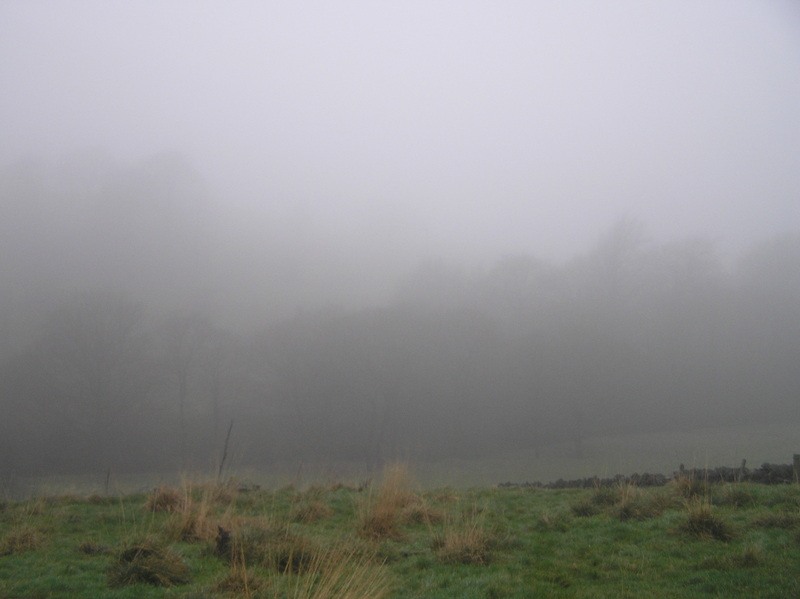 A couple of days ago I went to take this month’s photo and it had been really misty for a few days. Today i woke up to beautiful sunshine but didn’t have the chance to go out and re-take it. There hasn’t been too much rain the November, but even when there is it can be quite exhilarating running through the rain between the maths block and main college building, I remember walking home from school in the rain on Fridays and kicking puddles at each other because we had all weekend to dry our shoes and clothes. And the cold just gives an excuse for thick tights, nice coats and wrapping up in blankets. I love running up and down the street to and from panto rehearsals, which I was unable to stay away from despite being incredibly busy. I’ve done ‘cello exams at different times of the year, but this November was my grade 7. I can’t say I enjoy doing the exam, but there’s a great feeling of relief once you’re done, and this year was possibly the first time I’ve done one without being ill. Since college is only two years, it’s not quite long enough for things to really be a tradition, but I love charity day in November; dressing up (I was The Snowman this year), general silliness at college, watching the talent show, and of course donating to charities. This month the 18th Birthday Parties have started (well, I’d had one already) which have been really good, and I’ve got a new boyfriend (who said new beginnings are only for spring?). And then of course towards the end of November you get those first hints of Christmas; from rehearsing for carol services to the in your face supermarket displays. My song for November is All Too Well by Taylor Swift. Again, this song mentions autumn, and I think I may have got the CD in November, and I just think it has a November feel to it; cosy, slightly dark, with just a hint of reminding me of Christmas. Categories: Why I Love Months | Tags: autumn, November | Permalink. I love Christmas. I could go on and on about all the amazing things about Christmas, but that’s not what this post is about. Today is Advent Sunday, the (official) start of Advent and I’ve been starting to get that Christmassy feeling. I love that feeling, and this year in particular I need to really harness that feeling and keep it going. Why particularly this year, you ask? Well a few months ago I decided, for a couple of reasons, that this Christmas should be extra awesome, the Best Christmas Ever! Last Christmas was nice, but it wasn’t a completely cheerful one. It was the first Christmas and New Year since my best friend had died, and followed not long after by the anniversary of her death, so it was always going to be a hard few months, feeling her absence particularly strongly. But then my Grandma died at the beginning of December, so all in all we had a good time, but weren’t in the most celebratory mood, and there wasn’t the same exciting build up to Christmas, so I want to make up for that. But then my Dad said something to me about how Christmas does just get less exciting as you grow up. As I have already mentioned (and will probably keep mentioning) this is my last year of being a child, so this is sort of my last hurrah as it were, I accept that things aren’t the same as you get older, but I want one last go at the childish excitement of Christmas. However, as much as I want this, I’m not sure how possible it will be. My December is already looking very full up, and although a lot of it is going to be fun and Christmassy, I also have some stressful things coming up (like important university interview less than a fortnight) and I’m not sure I’ll have a moment’s rest even to watch all my favourite Christmas films! Categories: Christmas | Tags: Advent, cheer, Christmas, Exciting | Permalink. My parents often annoy me. My Dad and I often seem to end up arguing when we’re both saying the same thing – we disagree about the fact that we’re agreeing! And I just get irritated with my Mum a lot of the time. I have often thought about their flaws as parents, and told my best friend how jealous I am of her mum whom I have known all my life and is lovely. Having said that though, we never really have huge arguments. We get on well enough, do stuff together, we’re always polite to each other at the very least. In my memory my parents have never really argued with each other, they’ve never had particularly strict rules, and neither my sisters nor I have ever rebelled or disobeyed them in a significant way. Whether their treatment of us has led to us being well behaved, or they’ve been able to be liberal with us because we just are sensible, well that’s probably bordering on a huge psychological debate, so I’ll just stick with saying that in general, they’re pretty good parents. I’ve always thought this, to varying degrees about each of them at different times, but I’ve heard a couple of things recently which have made me really appreciate everything they’ve done. Firstly I was talking to one of my friends about his family. He lives with his mum and hasn’t seen his dad for a long time. He knows he has a younger half sister but doesn’t see her, and he’s had at least one step-mum, but he thinks he may now have other siblings by another wife of his dad’s. When talking to him about this I couldn’t help feeling sorry for him, and being grateful that my family are still together. Families break up for all sorts of reasons, so I would never judge anyone for it, but after this I had to just thank my parents for staying together, and I hope for the sake of my kids that when I get married it is for life. But something else happened this morning. When I got to college I joined a small group of my friends, one of whom was quite upset at something which had happened with her mum. Another friend was telling a story about when she was in primary school and hadn’t done as well in something as her mother wanted, and her mother then told her that she would always love her because she had to, but that didn’t mean she liked who she was. The first friend then told me what her mum had said, which was about equally mean. By the end of this is was in tears; all I could do was give them both a hug. I’ve known for a while that these two women could be…difficult at times. But the girls, my friends, are well behaved, kind, amazing people, and I don’t see how anyone could be so horrible to their own child. So, although I probably won’t ever say this to my parents, I am so glad that they’ve always been kind and supportive. My Dad an amazing man who I’m pretty sure can do anything, and I’m always proud of the ways in which i am similar to him (well, maybe not the terrible puns), and my Mum has always been there to take me on nice trips and sort out my life when everything seems to be going wrong. And I am constantly glad about how close I am to my sisters. So if any of them ever read this, thank you. And I hope that anyone else who reads this has a family as great as mine. Categories: Relationships | Tags: family, parents | Permalink. Ok, so if I’m honest I’ve had a tough couple of weeks. Some stuff has happened which I’m not going to go into right now, and I have been crazy busy and under quite a lot of pressure. But over the past month or so, I’ve been trying, at the end of a particularly bad day/week, to write down just a few things that haven’t been terrible, that have actually gone so far as to cheer me up, even if only for a little while. I haven’t had time to write everything I’ve wanted to recently, but just before I go to bed I’m going to quickly share some of the things which have lately made me feel very un-terrible. Categories: Happiness | Tags: Cheering up, Happy, optimism | Permalink. This weekend I started to feel the Christmas around. On Saturday my Dad and I made our Christmas cake (I don’t actually like Christmas cake, but it’s fun to make with my Dad) and we listened to some of the Christmas CD. Then yesterday at choir we were singing Christmas songs. I also saw Tom Fletcher’s Fifteen Festive Favourites video on Youtube, so I thought I would bring the tag over to blogs and answer the questions on here. Festive Food: Mine’s basically all sweet things which I rarely have the rest of the year. I always get a sugar mouse, candy canes, dark chocolate orange, and chocolate coins in my stocking, so I’d have to say them. Reindeer: I’ve always quite liked Dancer. But then Donner and Blitzen are cool because of the German names (means thunder and lightning). Day of Christmas (from the song): It’s got to be 5 Gold Rings. You’ve got all the crazy speeding up going on, then that’s the moment when everything comes back under control for a few bars, and there’s plenty of opportunity for harmonising, echoing and excessive vibrato. Christmas Song: I have so many! OK, I’ll narrow it down to two. I really love Spirit of Christmas Past by Mostly Autumn, hardly anyone’s heard of it but I’m in love with it, it just sounds so completely Christmassy. Also Fairy Tale of New York by The Pogues. It’s a horrible song really, doesn’t at all communicate any sort of Christmas spirit. But it reminds me of being with all my friends, having skived off most lessons in the run up to Christmas on account of all the concerts and assemblies to perform in, and dancing arm and arm around the music room. Christmas Present: I just don’t know, I’ve had so many great ones over the years. And then there are things which I get every year but still love; calendar, book, CD, DVD. No, I can’t answer. Christmas Film: Again I’m going to cheat a bit and have two. Love Actually is one of my favourite films full stop. Got comedy, romance, Christmas, Thomas Sangster (although admittedly a bit young for me in that film), what more could you want? But for Christmassyness (it ends in ness, it must be a word), I love Polar Express, and I must admit I did watch that a few weeks ago, I knew it was too early but I was feeling rubbish and needed cheering up somehow. Christmas Cracker Toy: One year we had a set of 8 crackers and inside each one was a little plastic whistle with a number on, each was a different note of the scale. Then inside the box was a piece of paper with strings of numbers on which made different Christmas songs when played. We had great fun with the whole family trying to play the tunes. Christmas Decoration: We have very strict rules about decorations in our house…in fact I might make a post just about that. But probably the wreath on the front door, it’s always there when I get home and putting it up always feels special. Festive Candle Scent: I’ve never really had Christmas scented candles, but we do have some nice Christmas candles in general. We have some really nice tea lights for Christmas, they’re in a gold tin case, cream coloured with gold glittery lines on them. They’re so pretty that we never actually light them! Christmas TV Advert: Tesco’s from last year. What can I say, it’s just great. Christmas Tradition: Probably Christmas eve evening. There’s carol singing outside the pub in my village, then at home after that we watch The Snowman and Father Christmas, then my Dad reads ‘The Night Before Christmas’ to us (I’ve decided I won’t be too old for that until me or my sisters have kids for him to read it to so i can still listen, his reading voice is the most soothing sound). Place to spend Christmas: I love seeing family over Christmas, so obviously that means sometimes going away, but really there’s no place like home. Christmas Fact: It is actually illegal to eat Mince Pies at Christmas, that’s a law which was never changed after the reign of Oliver Cromwell. (Don’t worry though, no one would actually arrest you for that). Snowman Accessory: I think by this Tom actually meant what do you put on a snowman when you’ve made one, but I immediately thought of my hat which is made to look like The Snowman. I’m actually planning on dressing as a snowman for my college charity day this year. I nominate Don’t Burst My Bubble to do this tag next! Categories: Christmas | Tags: Christmas, Fifteen Festive Favourites | Permalink. 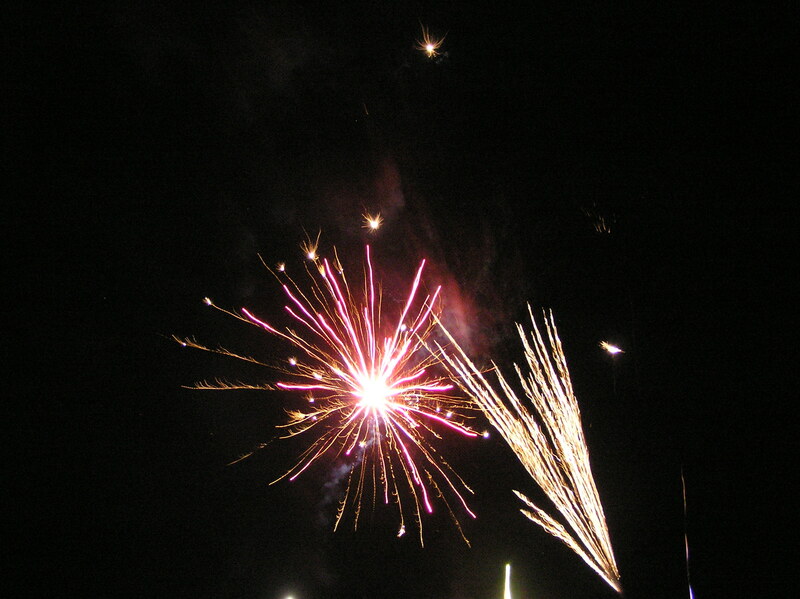 I will be publishing this post on the 5th November, AKA Bonfire Night. I was going to just do a short post about the fireworks which I went to on Saturday, but I have noticed on my blog stats that a significant proportion of my viewers are from the USA, and I’ve even had a few from further afield – hello over there! – and I figured that they/you might not really know what Bonfire Night is, or the significance of the 5th November, so I thought I would write a bit about the history of it, as the gunpowder plot was always one of my favourite history topics at primary school (that and the Great Fire of London…I’m not a pyromaniac, honest). In 1605, the King of England and Scotland was a protestant, and many Catholics feared persecution, which had been especially bad during the reign of King James I’s predecessor, Queen Elizabeth I. They had hoped that James would be more lenient, but he expelled all Catholic priests from England. Some Catholics wanted to kill King James, and put his young daughter, Princess Elizabeth, on the throne on the throne provided she was Catholic, but this plot was then taken to the next level as they decided to kill everyone in the Houses of Parliament when James was set to open Parliament on the 5th November in 1605. A group of Catholic conspirators, believed to have been led by Robert Catesby, rented a house next to the Houses of Parliament and managed to get a hold of 36 barrels of gunpowder, which they hid in the cellar of the House of Lords. On the 5th November, a man named Guy Fawkes was left in the cellar, in charge of setting off the fuse to light the gunpowder. However he was caught at the last minute by guards who decided to check the cellars. Fawkes was arrested and tortured until he gave away the other men involved, he was then executed in January 1606. Although he was not the ring-leader, Guy Fawkes remains the most infamous of all the men. To celebrate the fact that the Catholics had failed and he had survived, King James ordered the people of England to have bonfires on the 5th November, a tradition which continues to this day. Originally bonfires were topped by an effigy of the Pope, however this later changed to being a model of Guy Fawkes, which still sometimes happens, although not at all Bonfire Night fires. Another thing which has been added to this event is the tradition of lighting fireworks as well as a bonfire. So in England it is very common to be hearing fireworks every evening for the week around the 5th November, and a lot of towns, groups or private parties have Bonfire Night celebrations. It is also traditional to eat toffee apples and treacle toffee at these. Just to be clear though, we’re not still celebrating the defeat of Catholicism, it’s more the about the plot to kill the King failing. And also it’s an excuse for some fun. As mentioned, on Saturday I went to a bonfire and fireworks in the town where I live, which was a nice evening, talked to friends, watched the fireworks, had random bits of firework ash fall on my face, the usual. Remember, remember, the fifth of November, gunpowder, treason and plot. I see no reason why gunpowder treason should ever be forgot. Categories: Uncategorized | Tags: bonfire night, English history, fireworks, Guy Fawkes | Permalink.